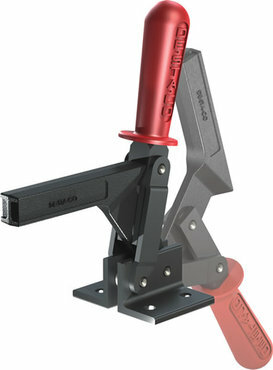 These heavy duty clamps feature robust contruction for extended life and durability. The high bar provides extra clearance. The low pivot point results in near perpendicular clamping forces. Solid clamping bars may be modified to suit your application.